If your container gardens are showing the strain of the summer, worry not. We have tips for breathing new life into your potted gardens. Loosen the soil. Water your container until water drains out the bottom. Now take your finger and dig down a bit. Is the soil hard and dry? After months of watering even loose potting soil can get compacted. When the soil dries and pulls away for the container’s wall, the water simply drains down the sides, leaving the soil dry and the plants stressed. Loosen the soil with your fingers, a knife, small trowel- anything to break it apart so water will soak into the soil. Spent plants. Some summer annuals are looking a bit haggard. All they need is a good trim and some nourishment. I like to trim back summer annuals, especially trailing varieties and give them a good dose of nutrition. Typically, within a week, I see the plants green up and new flowers emerging. 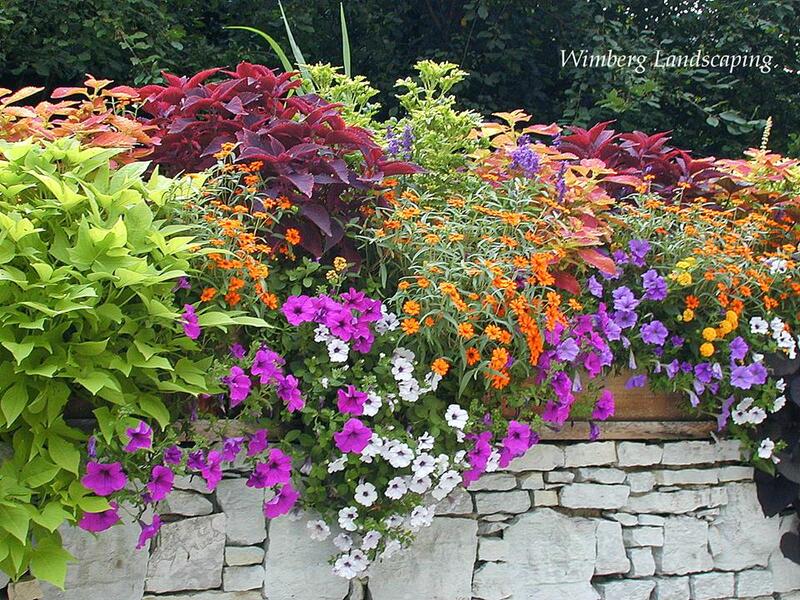 Are your annuals too far gone or are you just tired of looking at them? Pull the weak plants, save the healthy ones in the containers and replace with new fall inspired plants like pansies, cabbages and ornament kale.